Alone in the dark | Print, Play... Participate! 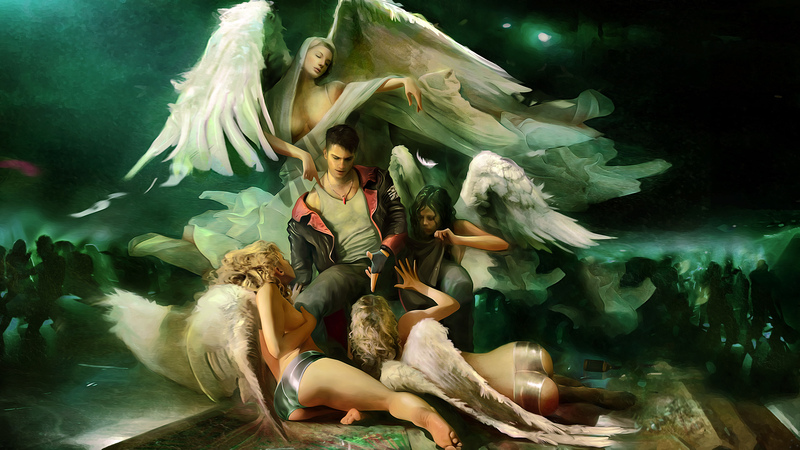 “And the angels sing at his (re)birth” – A DmC Devil May Cry review. When I was but a wee lad in his earliest teens a good friend of mine invited me to his house one day to introduce me to a new game he had bought. It was an intriguing venture in the realm of “hack ‘n slash” adventure games featuring a demon-infested castle, crazy weaponry and an unendingly cool protagonist by the name of Dante, and I instantly found myself drawn into its frantic action, creepy atmosphere and awe-inspiring music, and though it would take me a few years before I would eventually own a copy of the game for myself, between all-night gaming sessions at his place, the occasional stint of borrowing and a swift purchase of the sequel upon its release, I found myself to be an avid fanatic of Capcom’s Devil May Cry series. Since then I have followed it incessantly, through the blistering highs of its initial and third outings, its less than thrilling second attempt and the rather lukewarm-yet-still-enjoyable final release under Capcom’s supervision. Many days of my life have been spent mastering the complicated combo-system, learning the ins-and-outs of each weapon, exploring every nook and cranny of each level in search of secrets and bonuses and working my way through the numerous, increasingly chaotic harder difficulties to become (in my humble but biased opinion) a worthy player of such an impressive series. I have even spent a fair amount of hard-earned cash on various bits of merch, from clothing to soundtracks (which are, to this day, some of the greatest combinations of gothic, metal and electronic music I can imagine) and upon hearing that Capcom would no longer be producing the ongoing exploits of Dante and his girls Ebony & Ivory, I held a silent vigil to the Devil May Cry name and knew that the gaming world would be a little less brighter (or darker, depending upon whether you take it on face-value or aesthetics). Then came 2010, and with it the announcement that the Devil May Cry series was to be returning, but not entirely as we knew it. I’ll admit that when I first heard about DmC Devil May Cry (as it is known, to offer a distinction between the old and the new) my reaction was a mixture of mild excitement and overwhelming cynicism. 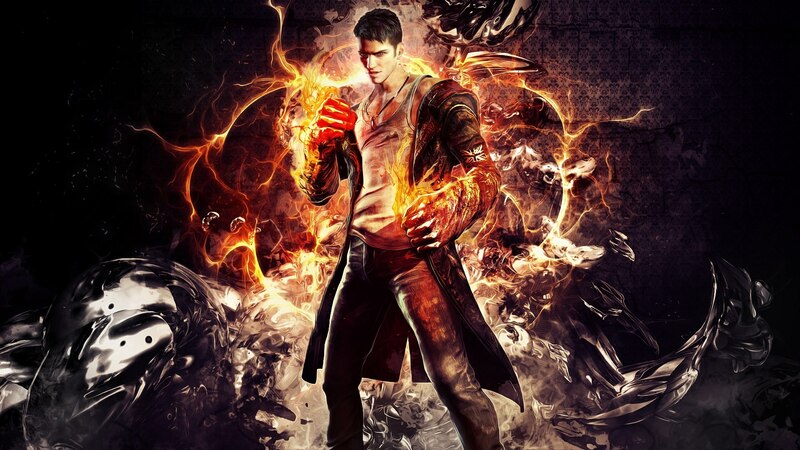 While I was hyped at the promise of more of one of my favourite franchises, the idea of a reboot is rarely a good thing, going back to basics and starting again with a whole new outcome, erasing the Dante I had known and loved and replacing him with a new, fresher one was blaspheme (I’m sure, if you’re reading this and a fan of the series, you will know personally, or from a likeminded friend, the initial horror of seeing Dante’s redesign, sans iconic white hair), and from past experience with reboots in general, I was not entirely convinced it would be a good idea (I’m sure you remember the carnage that was the Alone in the Dark, Legend of Spyro and Splatterhouse reboots, if not, you either missed the originals or didn’t care about the franchises, both fine with me, but look it up if you require the context), but, being just a humble consumer and in no way capable of doing anything about it, I had no choice but to sit back and wait. The first thing that comes to mind about DmC is something that often annoys me to no end about people who reboot franchises: it quickly becomes evident whether or not the new bloods have any idea what the source material is, whether they have ever played/seen the old game/film and understood what it was about it that the diehard fans enjoyed, what made it good enough to warrant being revived in the first place. The Devil May Cry franchise was acquired from Japan’s Capcom and developed by UK-based Ninja Theory, the company behind two mildly underwhelming (but both fairly successful) titles, Heavenly Sword and Enslaved: Odyssey to the West and when it comes to this rather integral point of knowing the original IP, I think it’s fair to say they hit the nail on the head. 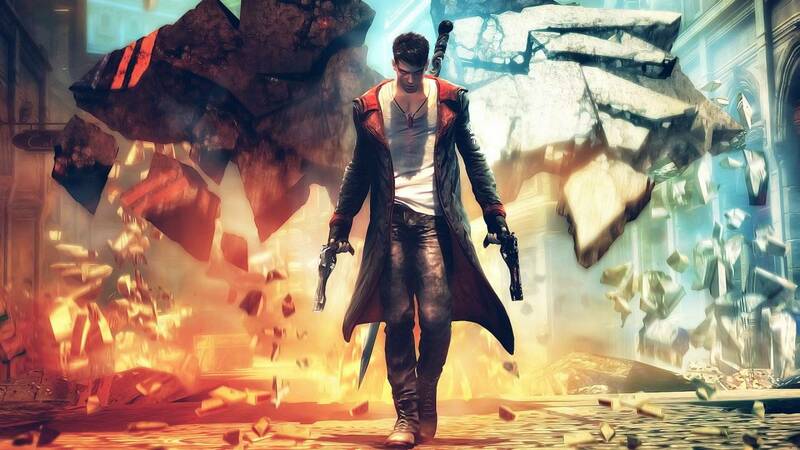 DmC plays and feels like a classic Devil May Cry game, with all the style and difficulty that the previous instalments were so well-loved for. Combat feels as tight and exciting as ever and the stages, though somewhat linear in places, still offer a good deal of exploration and secrets to find. Even the new Dante feels right, despite my initial aversion to him. Though it is clear this is not the Dante of old, the new one still retains much of what made him such an icon, and perhaps handles it a little better. He is cocky (and who wouldn’t be, being a near-indestructible demon-angle hybrid?) but clearly cares about what he is doing. He is detached from the rest of the world, yet holds the drive (and power) to save it. It’s as if they took the basic attitudes of Dante’s Awakening and used them to make a more realistic person, making it clear to see that he can grow and mature as a character over the (inevitable) sequels. He is an enjoyable protagonist, dragged roughly into the middle of a seemingly impossible fight, forced to make some pretty tough decisions in order to stop an absolute evil in its reign, though even that plot device is somewhat deeper than simply “Bad guy is bad”. The re-imagined Mundus, villain of the first Devil May Cry, is simply a power-hungry monster, yet you cannot help but feel that, sometimes, what he is doing to the world is kind of for the better, considering the alternative. The much more modern setting of staggering technology and subversive control gives the old gothic castles and droves of mindless demons a somewhat more realistic setting that could almost be paralleled to some of what we go through in daily life, issues of total media control, massive financial debt and attempts to placate the masses through consumerism and greed are the villain’s means of power. DmC even holds up the tradition of Dante’s twin brother Vergil, and offers a pretty interesting personal-history level to set everything up in the form of their childhood home. 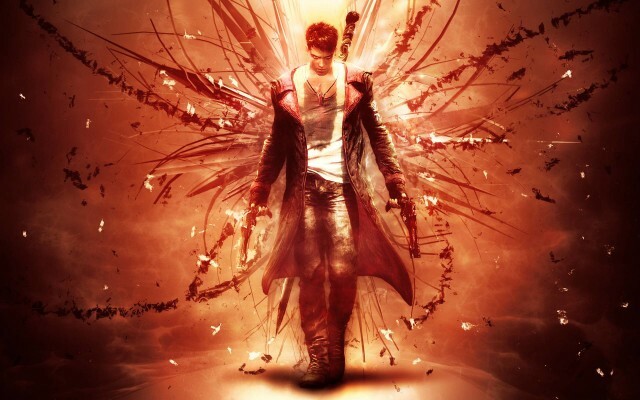 Other welcome alterations to the classic Devil May Cry mythos include Dante’s mother, who was a human woman with whom a demon fell in love in the original, being an angel in the reboot, making Dante not a human/demon hybrid, but a much more interesting angel/demon hybrid called a Nephilim in the game. This quite nicely sets up the idea of the two distinct styles of combat (three if you include the standard sword and guns, which are aligned to neither side) with the angel (fast, group-combat) and demon (powerful, single-enemy combat) weapons that each have their own unique effects and uses and can, when used correctly, offer some pretty badass strings of combos. Also new is the concept of purgatory, a sort of alternate-reality in which most of the game takes place. By taking the basics of the standard human world, purgatory distorts and breathes life into the games environment (for example, a simple street becomes a series of crumbling, floating platforms with an endless drop across which you must manoeuvre) offering some pretty intense platform and gauntlet segments, and even making the very buildings come to life in order to kill you. While I enjoyed the standard thoroughfare of the originals’ castles and old towns, the purgatory versions of DmC’s world help to keep everything fresh and exciting, changing things at the last moment so that you’re never entirely sure where you’re going until you get there and offering some pretty breathtaking environments to explore. And not everything is all city-streets, either. This world-distortion allows for some pretty spectacular thematic changes as well when facing certain situations. Two particularly outstanding missions involve a visual representation of the inside of media itself, with a series of screens showing news broadcasts and data flying every which-way, and the personification of the environment of a dance-club, neon-coloured shifting platforms in a void of oscillating sound bars with a rather amusing parody of a famous reality music contest show, both of which will stay near the top of my list of most interestingly designed levels for quite a long time. The whole thing from start to finish is a gritty, grim, brightly coloured, fascinating shift of enjoyable environments. And where would Devil May Cry be without its ever-present soundtrack? The work of Masato Kouda and Tetsuya Shibata in the originals, with Shawn McPherson’s gruff vocals overlaid on metal, electronic and gothic compositions perfectly complimented the onscreen action and design of the world, and once again Ninja Theory delivers here. This time around the game’s soundtrack is handled by Noisia and Combichrist (only the latter of which I was previously familiar with) and once again it works brilliantly. With each change in environment you are presented with a change in sound, the “real” world full of slow, quiet drumbeats and subdued thematic accompaniments, while action scenes are awash with driving guitars and up-tempo riffing. The more distinct levels also have their own feel, such as the approach through Bob Barker’s media empire with its traditional Newscast sound-bites and attention-grabbing fanfare, and I have never been much of a dub step fan, but Lilith’s club feels perfectly accompanied and in synch with the throbbing bass lines and heavy drums. It will certainly be another soundtrack for my growing collection. Of course, DmC does still have its flaws, but considering my viewpoint while going into it, they are much, much fewer than I had anticipated. The collectables aspect of the game is a little disappointing, with only a handful of hidden doors and their corresponding keys to locate scattered throughout most (but not all) of the levels, creating further annoyance by being integral to your overall level performance: each collectable is measured as a percentage and collecting all will boost your score dramatically, but being short by even one can drop a perfect streak straight out with no way of correcting it until a later play through when you have already gotten everything, at which point it remains permanently collected, entirely removing that aspect of the game the more you play. I was also rather disappointed by Vergil throughout. Though he clearly maintains his persistent drive to accomplish things, this version of Vergil comes across as a little too desperate, and without giving away some of the story’s plot points, his actions seem somewhat over the top, given his control of the situation. DmC’s new addition, a girl named Kat who helps you during a number of missions, is also little underwhelming, with only a brief moment of background story being offered before she is relegated to off-screen voice and damsel in distress. I would also like to know what that giant statue was all about, but I’m hoping it’ll become a major plot point in the sequel (not really a spoiler, but if you’ve played the game, you’ll know what I’m on about, and maybe you can send me a message if you think I missed something). 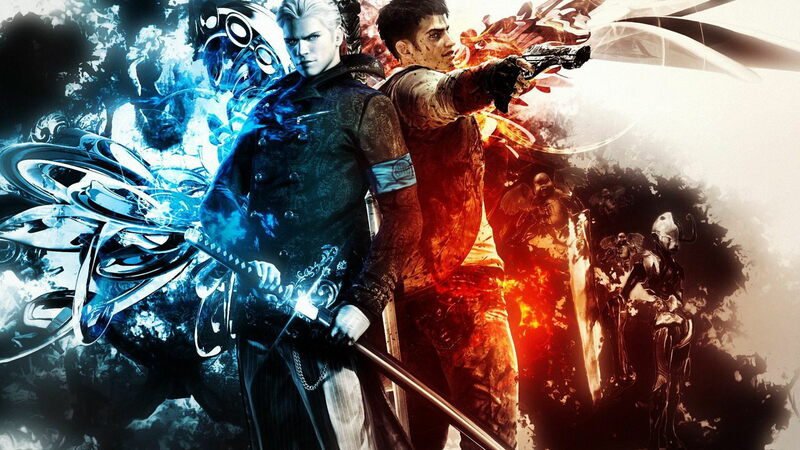 Until then, I shall continue to enjoy DmC Devil May Cry. It is a good example of how a reboot should be done, and has helped to revive my trust with the gaming industry. If you haven’t played it and are, like I was, looking for validation, consider this it. 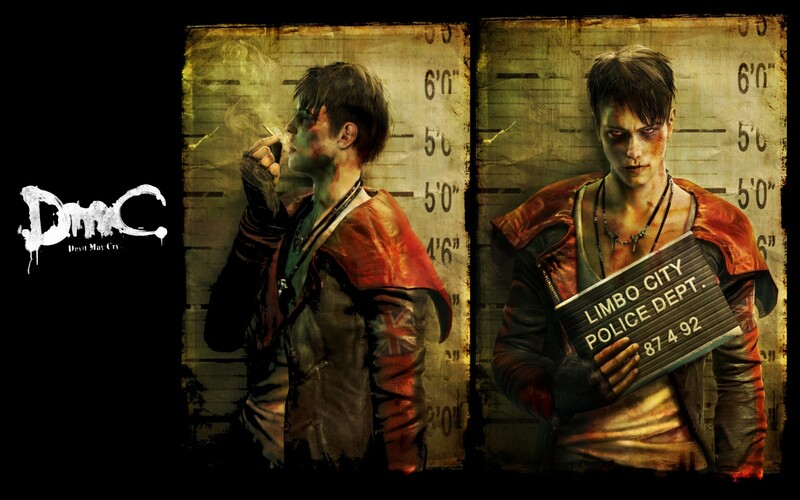 DmC is a good game done well. It is worth it.